Unexplained weight gain, without any changes in diet or physical activity, is one of the main symptoms of hypothyroidism. Other symptoms are muscle soreness, dry skin, brittle hair, frequent tiredness, constant fatigue, poor appetite, menstrual problems, constipation, indigestion, high cholesterol levels, poor concentration, increased sensitivity to cold and poor memory. So what could you do to stop this weight problem? If you have this problem it is essential to take medications in order to control the situation. 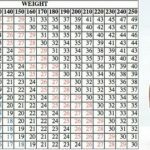 Once it is controlled you could create a weight loss plan and start practicing it. Take the meds as soon as you get up, while hungry and wait for one hour to have breakfast. Try to create a low –carbohydrates-diet and control your intake of calories on daily basis. Try to reduce your calories, but not extremely because you could risk of causing your body extra stress and increase your thyroid problem. So make sure you have everything under control. The best way to lose weight is to stay active and exercise of course. It will speed up your metabolism, therefore, improve your thyroid and make you stronger and energized. It is enough to walk for an hour a day to get some good results and improve your health. Simply switch to coconut oil in order to take benefit from the fatty acids contained in it. They are able to get to the cells and turn into energy hence improve the function of your thyroid. Certain studies have shown that coconut oil Is very potent in helping women having thyroid issues fight the constant weight gain. Add it to your drinks every day and see the amazing outcome. It is important to eat more but smaller meals every day in order to control the function of your thyroid gland. Make sure you incorporate snacks, like nuts as they are filled with minerals which keep the thyroid going and stop hormones from further spreading. Selenium is responsible for improving the way your thyroid works and it can be found in Brazilian nuts, walnuts, pumpkin seed, almonds, cashews, and eggs as greatest sources of it. Fish oil contains omega-3 fatty acids, therefore, speeds up your metabolism and has a positive effect on your blood pressure and blood flow. Fatty acids also help with inflammation, they increase immunity and may affect gene expression. Always consult your physician before taking fish oil. 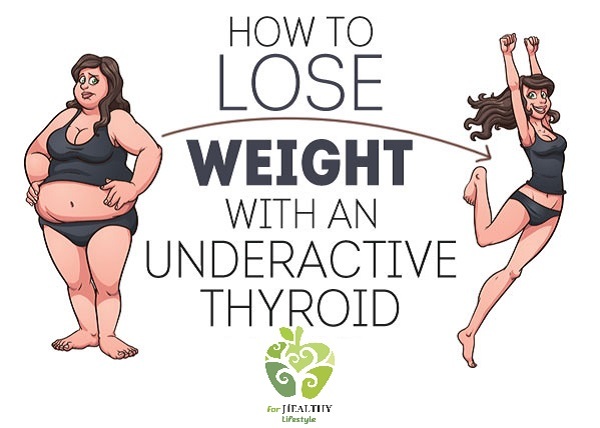 It is a great solution for hypothyroidism and weight gain as it will regulate your hormones, offer a complete detox and speed up your metabolism. If you take ACV on daily basis you can help with getting lower body weight, body mass index, visceral fat area, waist circumference and serum triglyceride levels. 1. Add 2 tablespoons of raw, unfiltered apple cider vinegar to a glass of warm water. 2. Mix in a little raw honey. 3. Drink this solution twice daily on a regular basis. This Amazing Drink Will Help You Prevent Lupus, Vertigo, Thyroid Problems, Fibromyalgia, Chronic Fatigue, Arthritis And Much More! This “HEALTHY” Drink Destroys Your Thyroid And Is Linked To Breast Cancer!